2017 was a security disaster. With large-scale data breaches at Equifax, Uber, and other business giants affecting the private information of millions of people worldwide, a greater sense of urgency has been placed on security. Companies and individuals have both discovered the seriousness of protecting private information. As the number of data breaches went up by 10% from 2016 to 2017 consumers have made it clear that their privacy needs to be a top priority, and businesses have realized that they have to make better efforts to protect their customers information to keep their trust. Here we have gathered the most popular articles from our site in 2017 as a recap and a quick guide as to what information on document shredding was of most value to our readers. 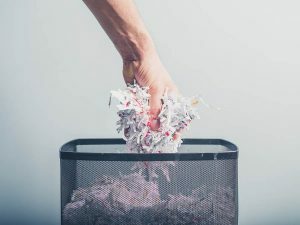 In general, the most popular topics were records retention practices, medical record shredding, low volume and residential shredding services, and paper shredding basics. Peruse the articles below to learn more. When it comes to document management the main struggle is balancing what to shred and what to keep. Different types of documents have different retention periods and the process can quickly become a convoluted mess. These articles take you through the ins-and-outs of refining the record retention process. Need a fleshed out guide to record retention best practices for your office? This article has you covered. With a long list of categorized office documents stating exactly how many years each file should be kept to comply with security laws, you won’t have to second guess how long to keep anything. Ever feel overwhelmed with personal record keeping? Discover how long you need to keep tax related documents, receipts, paystubs, bills and more. Once your files expire, take them to your nearest drop off shredding center to be safely destroyed by professionals. This article makes the argument for a shred all policy. The benefits—you don’t risk improper disposal of sensitive documents and you don’t have to continuously make the decision to shred or not every time you toss out a file. Focusing more so on documents pertaining to certain industries, this article goes over how long you should keep accounting records, medical records, and legal records. Large organizations require regular, large-scale shredding services—but homes and small businesses handle private information too. It can be tough to find a solution for your low volume shredding needs. Read up on the pages below to find out how to make it simple. Who doesn’t like free! While you usually have to pay to have your documents securely shredded by professionals, we explain a shredding hack to help you keep your private information safe on a budget. A detailed guide to understanding what exactly drop off shredding services are and how to find the nearest drop off shredding center in your neighborhood. You might be surprised to learn there are thousands of drop off centers located across the country, making this a convenient shredding option. Does Renting a Paper Shredder Save You Money? Taking a closer look at having a shred truck stop by your location for an hour to shred your documents, this article explains how shredding your files regularly will wind up saving you money in the long run. Residential shredding is usually a headache. 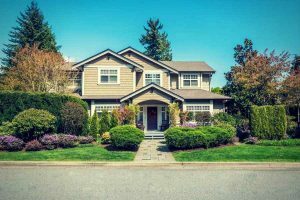 You might start out by purchasing a low-quality home shredder hoping you can get the job done yourself only to find out it takes time, it’s a huge mess, and your home shredder has broken after just a few uses. Find simple solutions to these problems in this article. Document shredding services for the medical industry. Hospitals, private practices, pharmacies, and more all deal with private customer data and have to abide by strict security rules and regulations. It can get complicated—and these top medical record shredding articles provide answers to common questions. 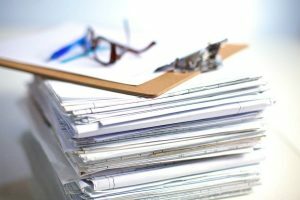 Do I Need a Medical Record Destruction Log? Is medical record shredding different than normal paper shredding? Find out what the difference is and how you can create a medical record destruction log to keep track of what you shred so you can comply with the law. An in-depth guide on medical record shredding. Here you will learn about the types of medical records, paper vs electronic document storage of health records, why this type of information is particularly tempting to thieves, and best practices for destroying medical records. HIPAA was created to regulate and protect PHI, or personal health information. 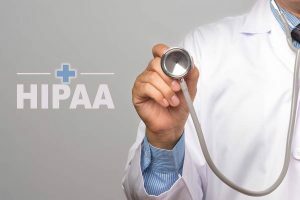 If you are in the medical field, you know HIPAA. Learn how to comply with HIPAA when it comes to shredding medical records. Looking for the best way to set up a shredding program at your medical practice? We offer step by step instructions to help you make a foolproof procedure that won’t allow private information to fall through the cracks. These articles get down to the basics. Common questions and myths about shredding are addressed, as well as the best shredding service options available. Need to shred your documents but don’t know what options you have? The brief overview mentions a variety of shredding services including services that will come to you to shred, services that will pick up your files and shred them offsite, and even services that allow you to mail in your files for shredding. Have you ever thought it might be cheaper to buy a paper shredder than to use a service? Or have you ever considered sidestepping the shredding process all together to save costs? Learn why these mistakes can put your company at risk. We compiled the most commonly asked questions about paper shredding and answered them all in this article. Questions on what to shred, how to shred, and what happens to the shredded bits after they’ve been shredded are all answered here. Shred Nations works hard to help protect homes and businesses around the nation from breaches and fraud. We partner with the top shredding providers who have been trusted by companies including Amazon, Allstate, and Apple. For a free quote on shredding services from professionals in your area, call us at (800) 747-3365 or fill out the form on the right. Don’t wait to protect your private information.